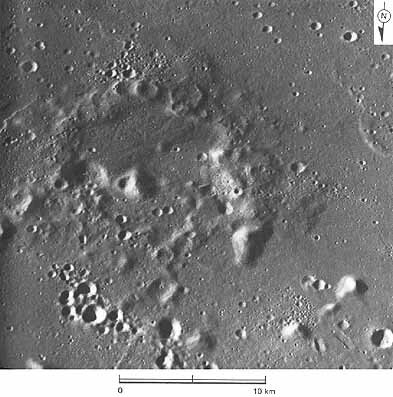 Easily identifiable volcanic complexes like the one in Figure 92 are not common, but some others have been recognized. This crudely circular belt of high-rimmed craters is located along the common boundary between Oceanus Procellarum and Mare Imbrium, about 130 km southwest of the crater Euler. Here also, a cover of dark material-presumably volcanic ejecta - is present. 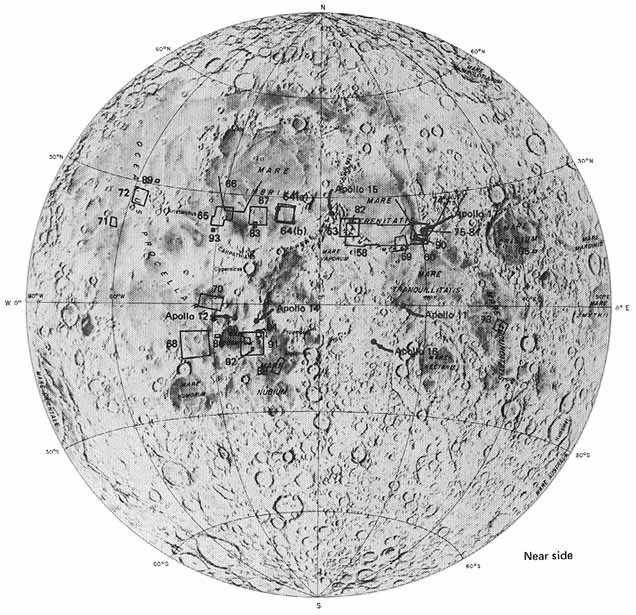 However, unlike the previous example, which was surrounded by a "sea" of unbroken mare, this complex is closely associated with many peaks of premare terra. They are distinguished not only by their appreciable relief, but also by their smooth surfaces and lighter tone. -G.W.C.